Aaaah, I spotted your car out and about a few times back when I lived in the area! Ha! Awesome! Old Rosie looking good there... Buckie Show the top one I think? Rained all day but was good fun. Grantown Motormania (other pic) is my favourite car show ever, I now pull the Qek caravan there every year too. Thanks for sharing! Ive been lurking on this forum for a couple of years now, but finally decided to join up! 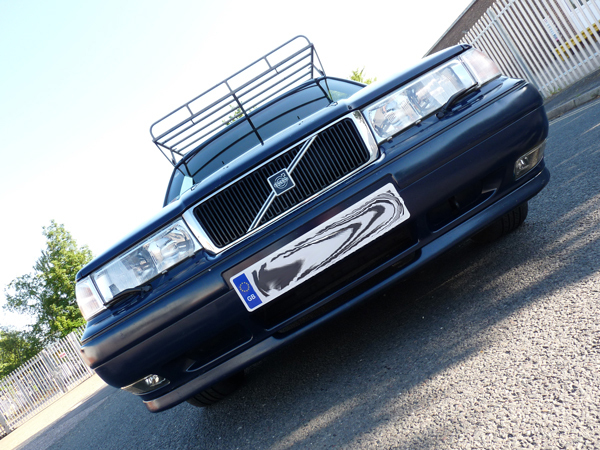 I 1st found Autoshite, by following a "for sale link" from a Volvo Forum, someone on here was selling a 940 estate, which caught my eye. so any Volvo i own will be pre 2000. 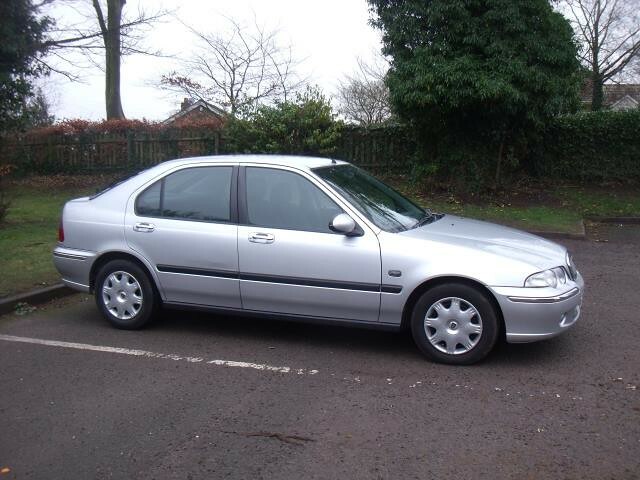 I currently own 3, these being a 1997 850 T5 CD estate(daily drive) a 1998 C70 T5 GT hardtop coupe(weekend toy)...and a quite rare 1992 940 GLT 16V estate(awaiting an MOT, laid up for Winter). Given my age!! back in the day, i owned mk 3/4/5 Cortinas, Mk 2/3 Granadas, quite a few older minis...and i have a soft spot for yanks too. I owned a 1968 RS V8 Chevy Camaro for 7 years (the car i never should have sold). I also grew up in Australia (in the 1970's) so i really like all the old Aussie cars (Holdens/Fords/Cryslers) I owned a Holden Kingswood, an a HQ Holden Wagon. My youngest 16 year old son, has just been given a K11 Nissan Micra(his 2nd micra to date!) 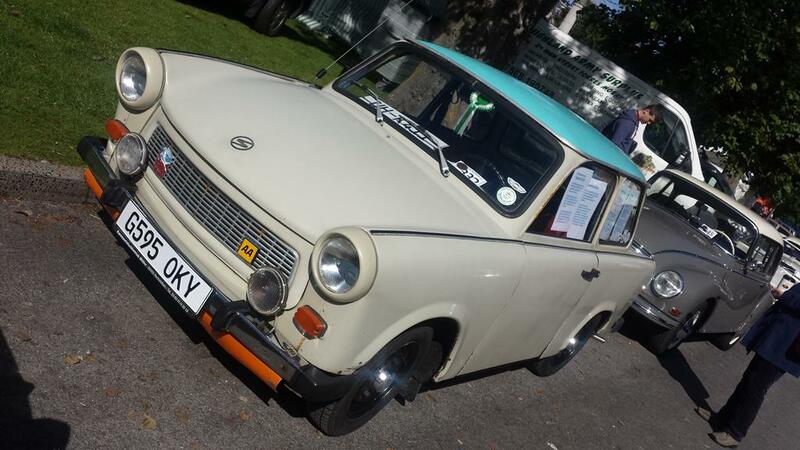 So im looking at maybe selling one of my Volvos, an geting into the early Micra scene............well, you have to encourage the lad. A couple of pics from the past. 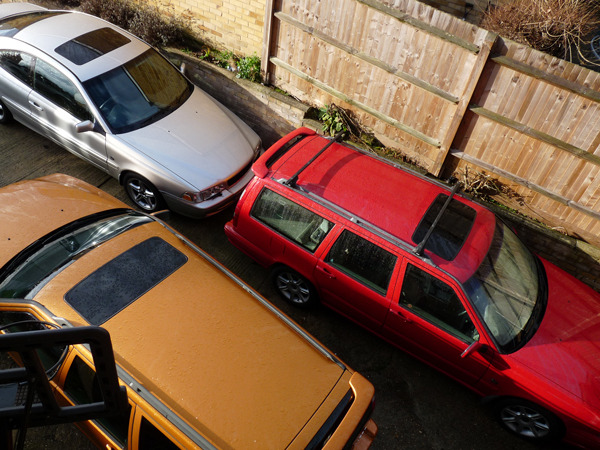 The Saffron V70R AWD, Red V70, an the Blue 960 estate are all gone. I still own the Silver C70 T5 GT Coupe, although after 2.5 years of ownership, its time to move that on soon. 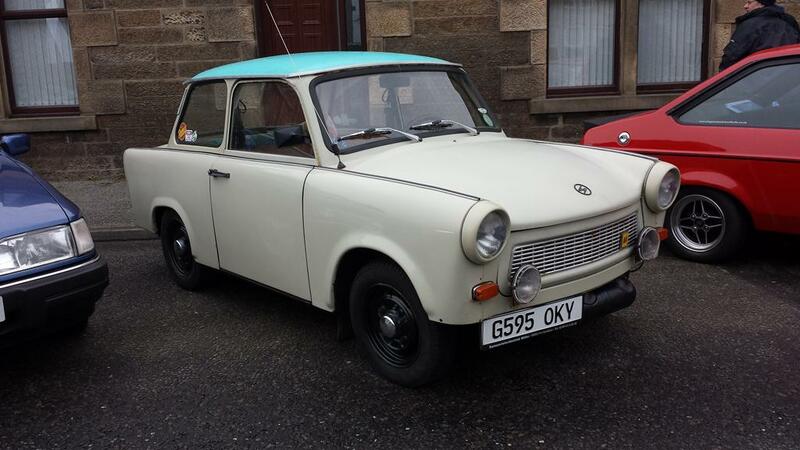 Lock ya Volvos up, as soon as they get mentioned on here they start to migrate to Scotland! Yeah, ive read various posts on here, about our Scottish brothers, an their wants/needs for all things Volvo??? I can only agree with the Scotts, on this need for a Volvo(or two) in their lives though. welcome aboard volvoman, great cars, and where in fine kent are you located? Im approx 6 miles from Maidstone. I'm a medium term lurker and thought it time to pop in and say hello given the smiles you lot have given me over the past few months. For all the charming* words and the loud internet noises that are made here on AS, you're a bunch of car enthusiasts who aren't worried about giving a cuddle over t'internet when you think one of yours is in need - you've been rumbled. Nice. I'm a serial Rover-licker and repeat offender. My daily is probably still considered a modern in these parts - a 2005 MG ZS 180 I've had from new, written off, bought back and fixed up and eventually put back on the road (done two cam-belt(s) changes on this one now) I also have a couple of other road legals - a Rover 200 BRM, a TF160 in spangly, colour changing paint and a Subaru not-Impreza WRXSTi. Dirty little secrets include a TF135, another 200 BRM ....... and another 200 BRM..all 'awaiting recommissioning'. Hope I'll be able to 'give back'. You wouldn't happen to have a Renner 30 parked up somewhere would you? 2005 is newer than most but given the company is obsolete keeping it running can only become more interesting as it gets older. Indeed. We have a Fred across the road who gave up driving at 91 years old, after an accident. His niece (Karen) is "so good" to him. Lives about a mile away. Where was he on Christmas day? Home alone. You are never too old for entering a roffle. If you won you could give it to a grand child and go along for the collection with them. To be fair, some people don't give a monkeys about Christmas. It's just another day. You may just as well complain he was home alone on a Tuesday. What happened there ? Banned so soon after joining. 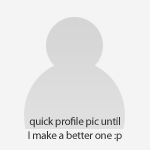 It was a fake/second account and they were asked to chose to remove it, or have it done for them. Surprisingly it wasn't Ms Har this time, though if it had been it would probably be his 99th attempt at coming back with more false details. That's 'allegedly' of course. Yeah I reckon I'll be abandoning this line of questioning now! Hi all, I'm another one who found their way here via dollywobbler's HubNut videos on YouTube. Most of the 21 cars that I've owned over the past 39 years (I know, must try harder ) have been built at either Longbridge or Cowley, hence my forum name. 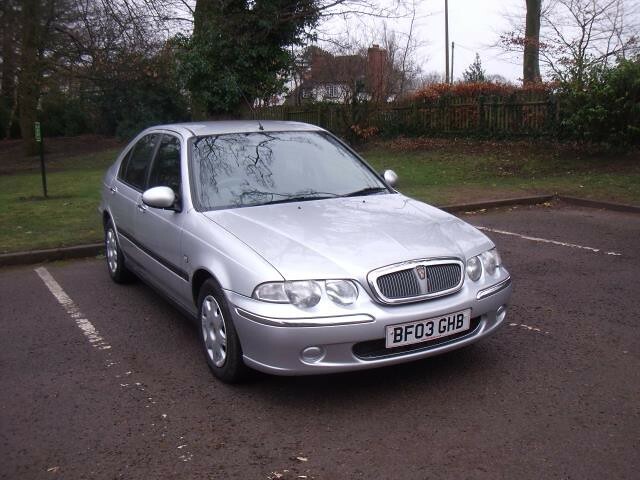 My daily is a 2012 Skoda Fabia but I've recently bought a 2003 Rover 45 on Ebay for £370 with FSH and 31000 on the clock. It does have its fair share of scrapes and scratches but nothing too serious. 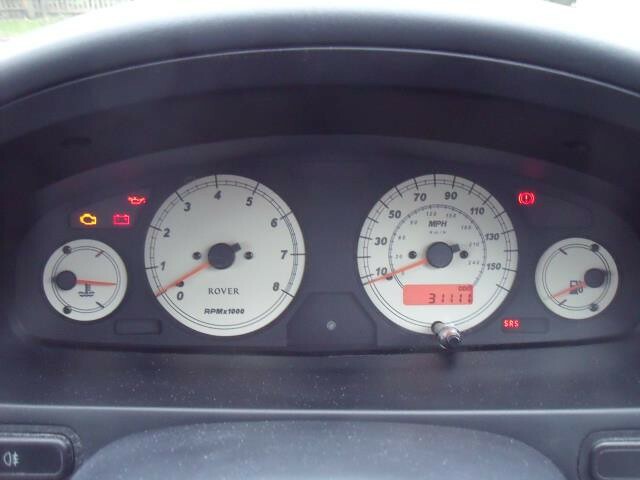 I do need to sort out the airbag light so some fiddling under the driver's seat will be on the agenda soon. 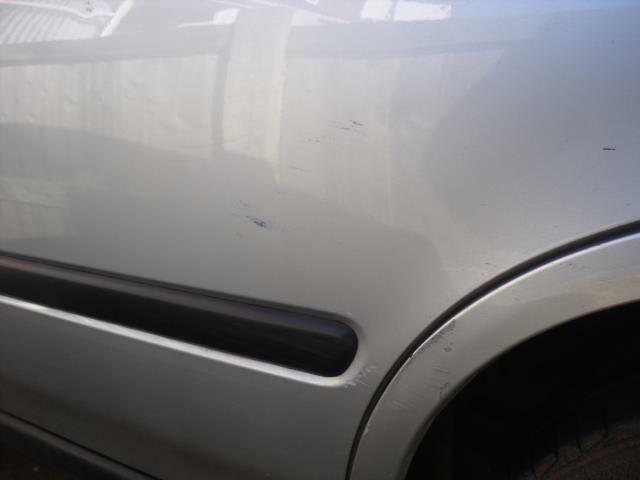 You've missed the most important bit out - how many giffer (old codger) dents are there on that there bodywork ? 31K, I reckon must be up to double figures at least. Surprisingly apart from possible light creasing on the rear doors there aren't dents on it. A couple of nasty scrapes but mostly cosmetic damage. This is the worst bit on the N/S rear wheel arch and door, it's hard to see on the silver paint. However, as new members have been unable to register for so long, it's likely we'll have a large influx of new folk over the coming days. I thought it might be worth starting a thread for such people to introduce themselves to the more established Autoshiters, tell us about their motoring habits and the like. I thought to reprise this great photo, numero uno on this thread. No idea what a Talbot Alpine is, but happy to learn what is dodgy about it. It does not look anything like the 1938 Talbot-Lago in the picture below. What happened? a. "The triumph of good marketing over bad engineering." b. "Ten men --- 5 escape hatches: every man for himself!" c. "None of us would be caught dead in this car, but you might!" I've been on here a few years, but never got around to this part of self-introducing yourself, for fear of being redundant.